IBM MobileFirst for iOS Find & Fix empowers field technicians with new insights to improve their daily productivity and increase customer satisfaction. IBM MobileFirst for iOS Find & Fix provides field technicians with mobile-based tools on iPhone or Apple Watch to improve their daily productivity. The number of jobs a field technician is able to service in a day can largely depend on how long it takes to get between jobs. A technician, however, may have to rely on manual scheduling systems that may not take job location into account. 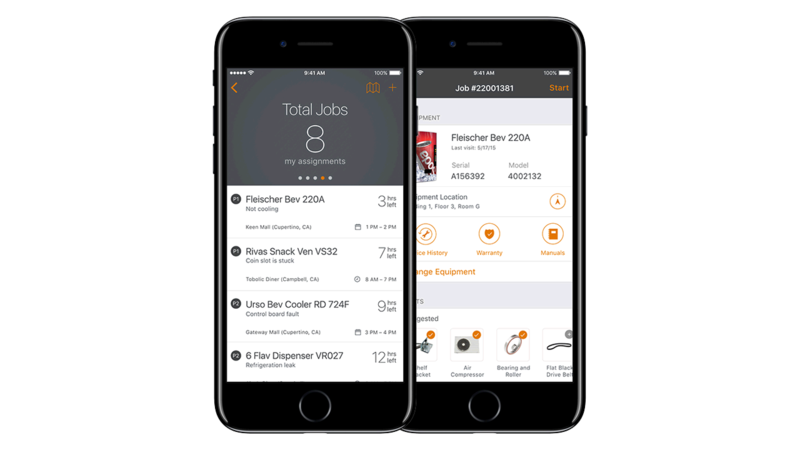 With Find & Fix, technicians can select jobs by priority and proximity – and easily find the gear they will need to service it. The app also provides optimized travel routes to get technicians to jobs faster, so they can service more jobs. iBeacon technology allows field technicians to travel between job sites more efficiently with real-time traffic. They gain parking information and turn-by-turn directions inside large buildings. Find & Fix’s analytics prioritizes job requests based on issue type and issue safety. Technicians can use the built-in camera on the iPhone to scan equipment bar codes and document issues. They can call off-site specialist using FaceTime for visual assistance.